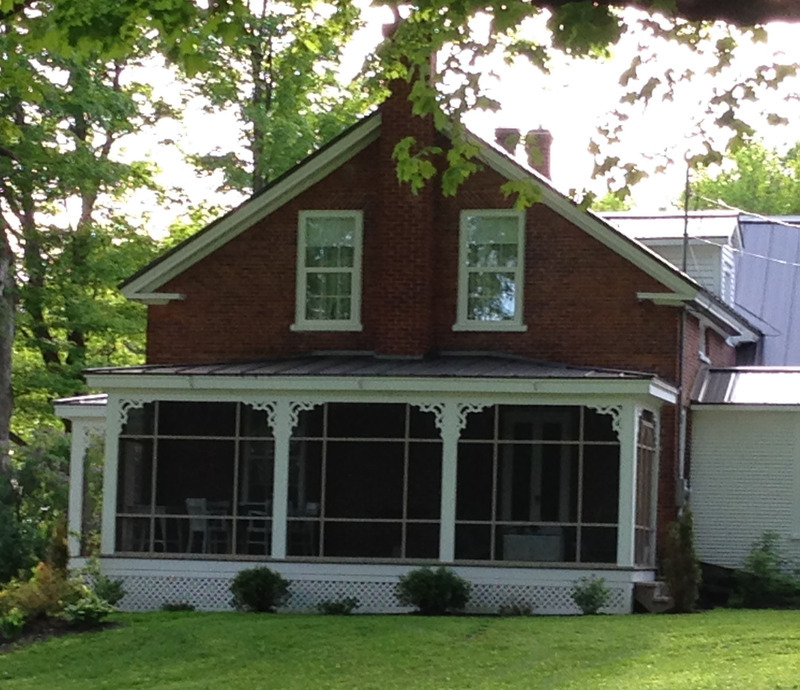 This large Georgian house is dated 1844 and it was originally Peter Houl’s home. He sold it in 1846 to Fred Seeger. It was later home to William Hubbard, a farmer from Pigeon Hill. The latter handed it down to his wife Mary Drury in 1890. In 1866, the Hubbard house was the theater of a raid by Irishmen from New England, the Fenians. They had devised a very daring plan, to say the least! They were planning to seize, from Vermont, a portion of Lower Canada, and then give it back to the British Crown in exchange for the liberation of Ireland! In June 1866, under the leadership of their general Samuel Spears, a thousand Fenians swooped down on our region and succeeded in capturing Frelighsburg, Pigeon Hill, St. Armand and Philipsburg. Their columns went as far as Stanbridge-East where some of them even made an excellent dinner in a local inn!